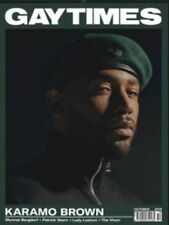 Attitude Magazine September 2018 Issue 300. In Excellent Condition, all intact, no missing pages, marks or stains. Item cover shows minor handling but internal pages are in excellent condition. 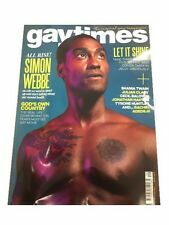 ATTITUDE MAGAZINE FEB 2016 VGC. Publication date: May, 2006. It has 242 pages. Having photographed the copy I can confirm the whole publication is in pristine condition throughout. To protect the copy it will be sandwiched between two rigid cardboard covers to ensure it arrives in tip-top condition. 1958 " Mans World " Vintage Male Physique photo Magazine - September 1958​ 18cm tall 50 pages monthly British Magazine quite clean part of a collection of Vintage Male Physique & Bodybuilding Magazines Im listing week by week Please view the Photographs which give the best impression of their condition Payment Conditions, ​please read carefully I now open unpaid item procedure cases after three days When an unpaid item case has been opened if it is not paid after two days i remove any current bids by the unpaid item case bidder on any other of my items and block further bids until paid . 1957 " Mans World " Vintage Male Physique photo Magazine - September 1957 18cm tall 50 pages monthly British Magazine quite clean part of a collection of Vintage Male Physique & Bodybuilding Magazines Im listing week by week Please view the Photographs which give the best impression of their condition Payment Conditions, ​please read carefully I now open unpaid item procedure cases after three days When an unpaid item case has been opened if it is not paid after two days i remove any current bids by the unpaid item case bidder on any other of my items and block further bids until paid . September 2016. Lindsay Kemp. Violet Chachki. Glossy magazine - 88 pages. Excellent condition 24 page colour booklet. Good condition with flipover fitness magazine featuring Dr Christian Jessen on rear! Gay Times - September, 2007. In very nice condition. It has 226 pages. Having photographed the magazine I can report that it remains in lovely condition throughout. Clearly this magazine has received lots of tlc! 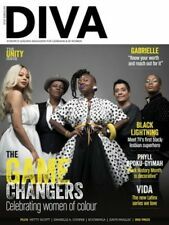 Attitude Magazine September 2017 Issue 287 Steve Grand New. Attitude Magazine January 2016 Issue,Olly Alexander,Alan Carr New. 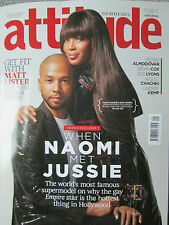 Attitude Magazine September 2016 Issue Naomi Campbell And Jussie Smollett New. 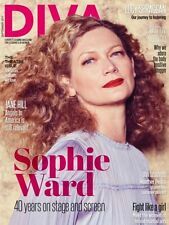 Attitude Magazine September 2015 Ben Thompson,Joss Stone,Andrew Haigh New.